Drafting Steals: Damiani-Holz & Ko wood fin office building is quite unique! Damiani-Holz & Ko wood fin office building is quite unique! 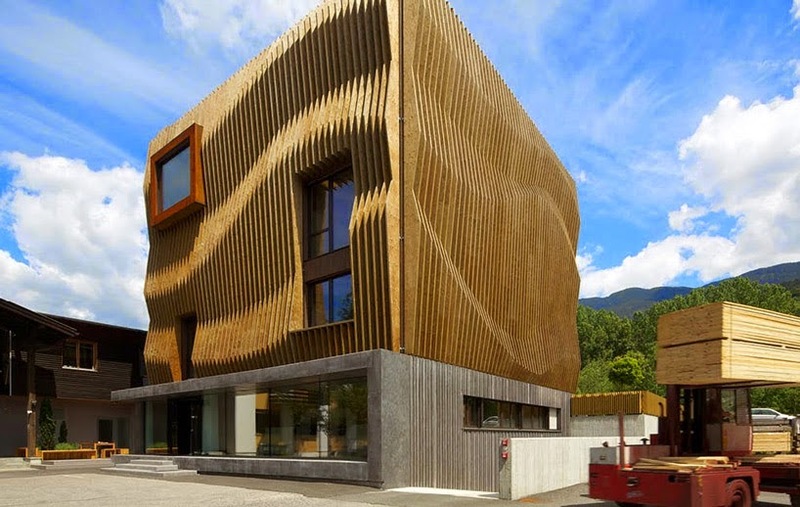 Damiani-Holz & Ko is a construction company that is located in Italy, and had the MoDus architects create quite an interesting design for their office building. 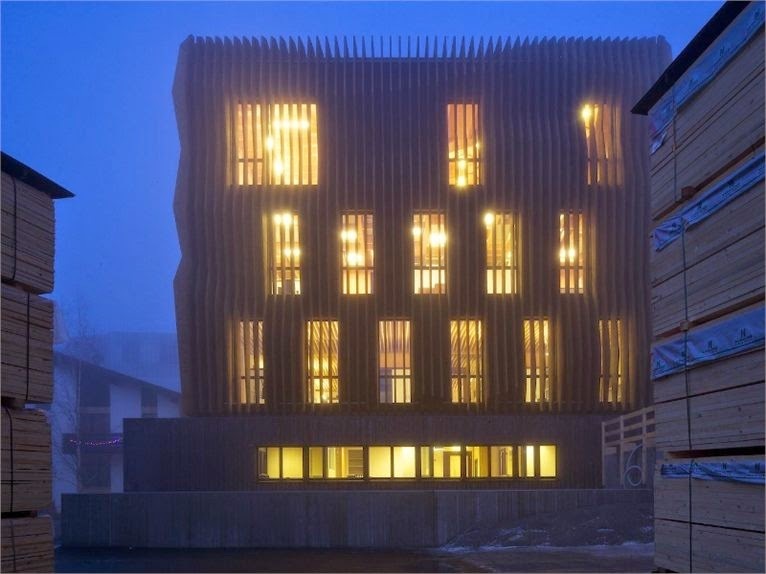 The construction company specializes in timber, so the MoDus architects wrapped their office in "wood fins". The building is very unique and visually appealing, while also representing what the company does in a very interesting way, and this is precisely what they wanted. 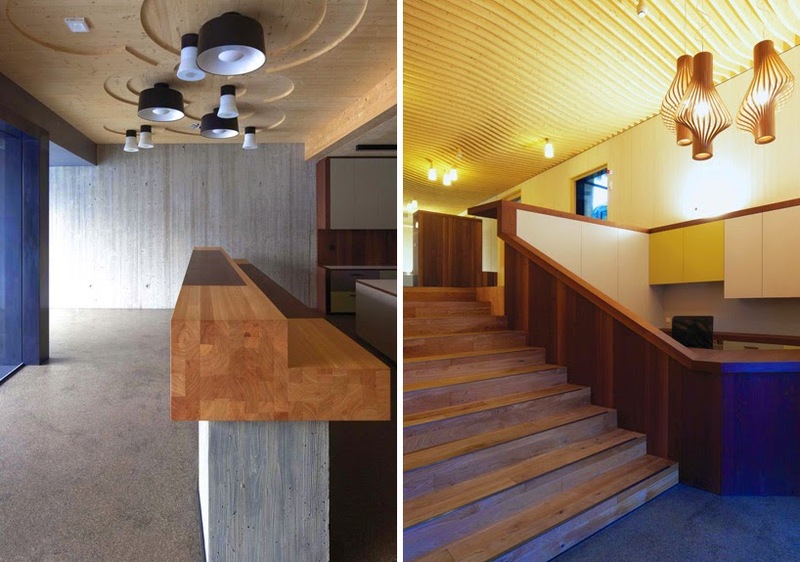 The office buildings ceilings also feature finished wood in a variety of different ways to create different visual effects in different parts of the building. The building is four stories high and 12,885 square foot, and features 424 geometric plywood fins! The fins are coated in a copper sulfate solution that is weather resistant, while also allowing the natural tone of the wood to be preserved. While MoDus spent a few years designing this building, and then DH & K constructed the building themselves!